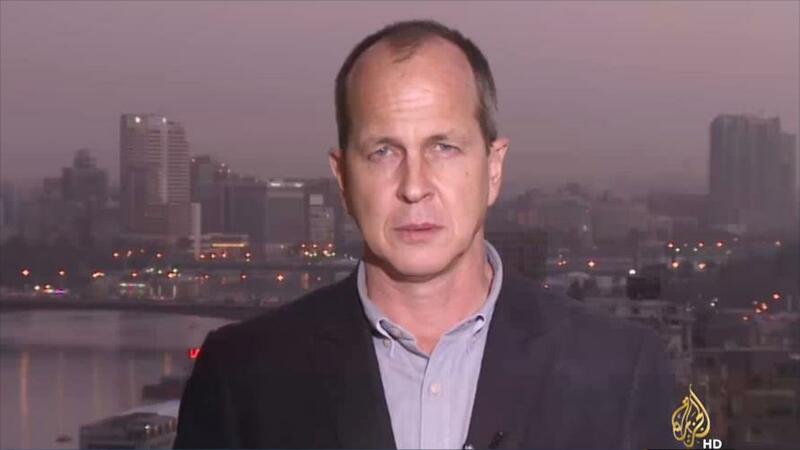 The Centre for Defending the Freedom of Journalists (CDFJ) on Monday, February 1, welcomed Egypt’s decision to release Al Jazeera reporter Peter Greste. In a statement, the centre underlined that the move is considered a “step forward”, urging the Egyptian government to release the other two journalists; Bahir Mohammad and Mohammad Fahmi. Greste, who went back to his native Australia upon his release, served more than one year behind bars after being sentenced for a seven-year term along with Fahmi for allegedly supporting the Muslim Brotherhood. The third reporter was sentenced for ten years. However, the Cassation Court overturned the sentences and ordered the retrial of the journalists at the start of this year. CDFJ President Nidal Mansour underlined that the decision to free Greste is a “positive” initiative, expressing hope that it would be followed by measures that guarantee the release of other jailed reporters. He also called for freeing all media personnel in prisons and those arrested in connection with media issues in Egypt.